Building bots bottom-up from conversation examples has many advantages, but sometimes you don't have data to cover all of the intents and dialogs your bot needs to handle. Don't fret! Giant Otter can help you generate the high quality conversation examples that you need to train your bot. Simply describe the conversation flows that you're hoping to automate, and we'll assign vetted actors from our community to produce examples via role play. You get all the high-quality data you need, on-demand. 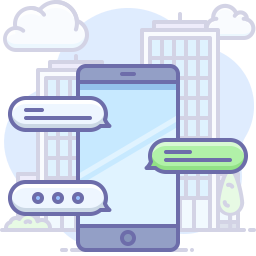 You can add Conversation Modeling services, and we'll extract from those example conversations the intents, entities, and dialogs that you need to train your bot. Describe the target intents or conversation paths - or upload examples that you want to replicate. Identify any special project requirements, set the task specs (e.g., number of examples to generate), then launch it! Giant Otter produces task instructions and sources workers to match the project requirements. Tasks are assigned workers to meet quality and speed objectives. Our algorithms check the results to ensure you're getting sufficient variety. Review your new conversation examples in the Data tab of the Conversation Authoring Platform. If you elected to add the examples to the model, new elements (intents, entities, dialogs, etc.) and examples will be highlighted in the Shape section.